. 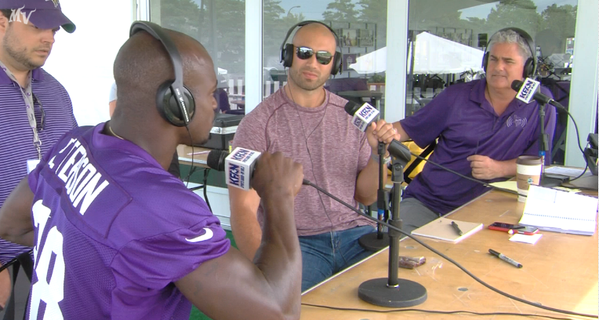 @AdrianPeterson joined @PAOnTheMic and @nacholeber earlier this morning to talk about 2015. Appears Anthony Barr, Scott Crichton, Gavin Lutman, Josh Robinson and John Sullivan are not practicing.
.@stefon_diggs and @teddyb_h2o work on one-handed catches before tonight's practice at #VikingsCamp . Zygi Wilf here taking in the #Vikings ' night practice. David Yankey just left practice, seemed to be limping. 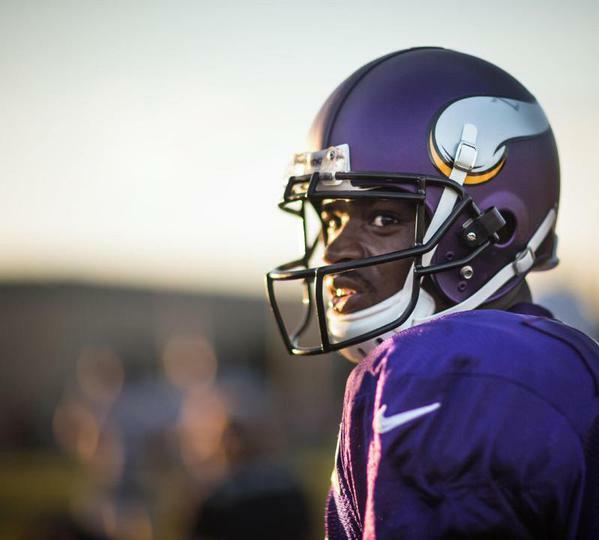 Teddy Bridgewater continues to look more comfortable in goal line/red zone drills. 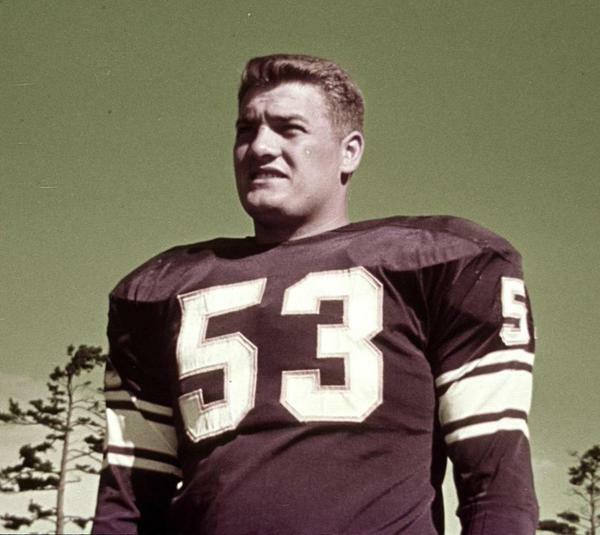 Mick Tingelhoff will be inducted into the @ProFootballHOF 37 years after retiring. Yankey returned to practice, walking gingerly. 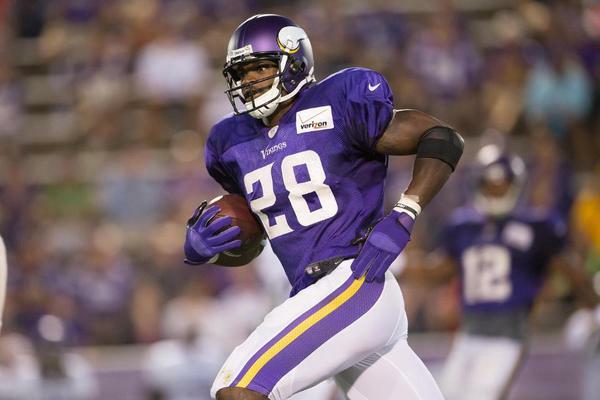 Mike Wallace had the best quote of the night.
.@AdrianPeterson plans on being more patient in the backfield in 2015. The least talked about reason for #MNTwins ' offensive struggles: Joe Mauer. He has regressed from an on-base machine to a shell of himself. If this is how he runs over his teammates, just imagine what he'll do to opponents.